Riding a bike allows you to be out in the open and see all of your surroundings. Watching the scenery of America’s roadways pass by you as you throttle the bike even faster is an amazing feeling. The exhilaration you get from riding, the ability to just go, the challenge of taking the curves and bends; it all adds to that sense of freedom. You can hop on at any time and go anywhere; you can zone out and forget the worries you have. Let the adrenaline free you of your cares for a while. 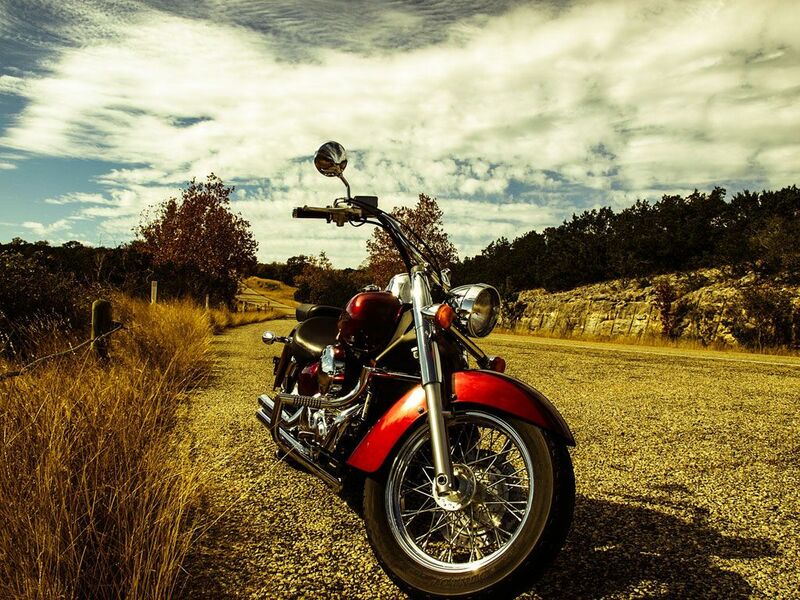 As thrilling as a ride can be, bikers need to be aware of their surroundings. There are bound to be other vehicles on the roads. Cars are everywhere and other motorcycles may be out enjoying the ride just as much as you. But accidents can happen if someone is not careful. Hopefully, everyone is paying attention and staying safe but it’s best to be prepared for the eventuality. This highway takes riders along a winding route that passes through both Montana and Wyoming. It is not open all of the time so this is not a ride you can make at the spur-of-the-moment. During the winter and early spring, this part of US Route 212 is closed because of the amount of snow the area receives. When you can drive it, you will enjoy a mountainous setting with fields of wildflowers and glaciers. Don’t be surprised to see a little bit of snow as well, even in the summer! This road runs parallel with the California coastline. The PHC, also known as California State Route 1, is perhaps the most scenic of motorcycle roads in the entire US. It’s just one more thing to add to the state’s appeal. Bridges span the gaps between cliffs to connect the various cities together, but it is the natural scenery that makes this 123-mile stretch of road so amazing. Hills and cliffs to one side, the dark green shade of the ocean to the other. Along the way, you will see the ancient redwoods of California, largest and oldest of American forests as you take the sharp turns and dropoffs through the state. If you don’t have Georgia on your mind when you go for a ride, you should! This highway is not for speed as the speed limit is a whopping 35 mph. This is so because of the majesty the state offers along this road cutting through the Shenandoah National Park. Not only are tourists a concern along this road but wildlife also presents a danger. Wild turkeys and deer are not that big of a concern, but your bike ride along Skyline Drive may lead you to encounter bears (and in that case, you may need to go faster than 35 mph to get away). There are plenty of places to stop off on this 105-mile-long road — 75 spots to be exact. These spots allow you to see most of the valley from many different angles, each one with something new to see. Being another roadway in Montana, this route through Glacier National Park is often covered by snow, in part or in whole, until the middle of June. If you can ride along the entire 50 miles you will see the Treasure State in all of its glory. White-capped mountains with green forests rising up the slopes and a cloudy sky with breaks of sunlight scattered as far as the horizon; that is what you can expect to see as you take this 2-hour drive. Cutting through the Great Smoky Mountains is a beast of a highway. The section of US Route 129 that goes through Tennessee and North Carolina has been dubbed the Dragon and is 11 miles of turns and curves that resemble the tail of the mythical monster. There are more than 300 bends in the road, making it not only one of the most scenic but also one of the most fun — and one of the most dangerous. The Tree of Shame is an homage to those who couldn’t beat the dragon as it has been covered with the remains of crashed motorcycles. Even with the speed limit having been reduced from 55 mph to 35, bikes still whip around the corner (and fail to make it). Texas has some great motorcycle roads. Three of these are known collectively as the Twisted Sisters and take you in a circle around the Texas Hill Country. Hills, valleys, and canyons line your path of this 100-mile roundabout. There are plenty of Texas ranches to see, a staple of Texan identity. Stop off at one of the many motorcycle shops and museums or continue on to the 65 curves farther along the loop.